McAfee is a paid software, not only for computers but for mobiles and laptops also. It is a powerful security tool that protects the computer from attacks of malware. It was founded by John McAfee. McAfee comes up with new versions at regular intervals so that the users’ protection software has the most advanced virus database to give protection from the latest malicious codes and viruses. McAfee mobile security protects your personal data by backing it up to the cloud, so you can restore it to the same device or even a new device. McAfee antivirus is not the fastest program amongst the similar programs as it takes a huge memory to be it a scan or a real-time protection. 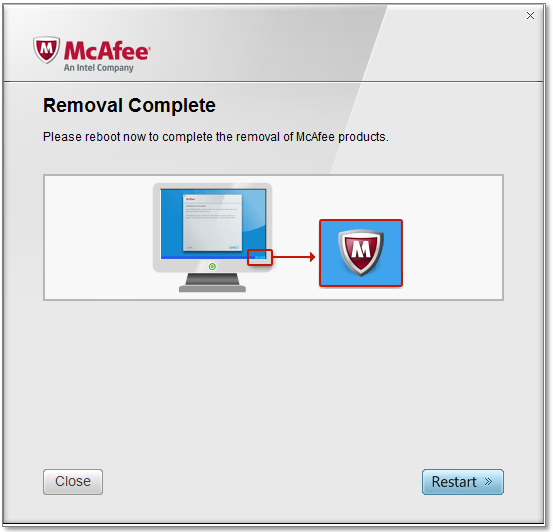 How to delete McAfee permanently with MCPR tool ? We think security is like one thing. But it is not possible for one product to secure the whole system. It requires a layered security/ defence. All software should be updated from time to time. Check that your operating system and JAVA is updated. If you have Adobe installed, it needs to be updated. Everything in your computer should be updated. Beyond all this make sure you have a firewall. Before uninstalling or removing McAfee make sure you have a full backup. The process of uninstalling can vary depending upon the version or edition you are using of McAfee. At present, there is no reason to not to have an antivirus on your computer. The only reason for not having an antivirus can be if you have a dedicated box that is a 100% dedicated box to something. For instance, you have a surveillance system server, or may be a specific file and you locked that thing down. Type “Control panel” in the search bar. Select and open “Control panel”. Go to “programs uninstall a program” category. The application and related files will be removed from your computer. Save your work and close all open programs. Search for and open ” 75101331″. It will show you a download link to “MCPR”. Download and double-click to open MCPR. Follow the prompts and reboot the system. We cannot delete McAfee permanently when it is in Managed Mode, we have to first change McAfee into Unmanaged Mode. Click in the search box and type “Command Prompt”. Navigate the Command Prompt to your Program Files folder.